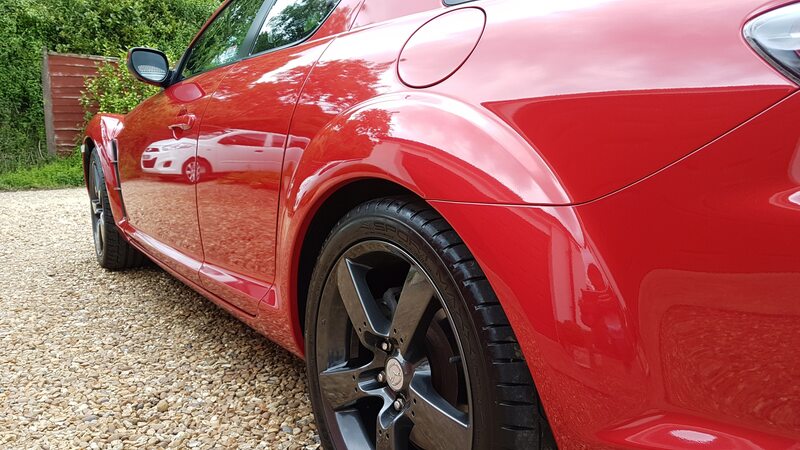 YOUR CARS: Mark Longland's RX-8. Not an engine failure in sight. It’s a love-hate relationship with my RX-8. Whilst it continually puts a massive smile on my face when I’m driving it, the moments in between can sometimes cause much anxiety and many sleepless nights. 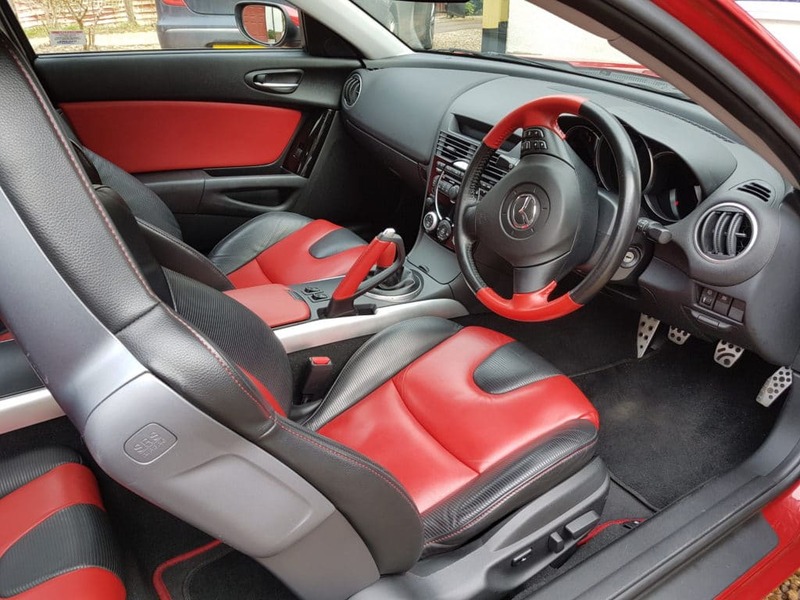 And it is at these times where the stress and running costs of an RX-8 begin to play on my mind, and the inevitable browsing of the classifieds online follows. Yet somehow I seem to always make sense of the negatives and fall even more in love with it. I’m certain, reluctantly, that this cycle of love and hate shall continue until the day the RX departs. 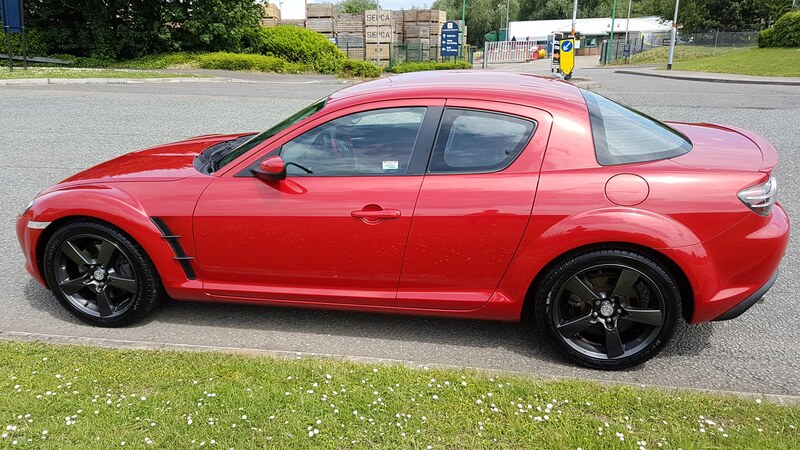 To add some context before going on, my RX-8 is a 2004, ‘231’ version, in ‘Velocity Red’, with a Proper Gearbox. The point at which I took ownership was in 2012 where the car had only 8k miles from brand new. I know the former owner and can vouch for its use prior to me taking it on. To date it has covered 38k miles with a full service history. As the pictures allude, I have made some very minor modifications to it. Aesthetically, I had the factory alloys refurbed and resprayed in anthracite grey (they are not black, before anyone asks) in 2014. I added some strakes for the side vents earlier this year; even had them colour-matched to the wheels. Very Cheshire. For the grippy stuff, the factory spec 224/45s have since been replaced with 245/40 Dunlop Sportmaxx RT 2s (I believe Bridgestone Potenzas were supplied from new in 2004). The change in tyre size is noticeable and advisable compared to the original, being quieter at speed, and much more stable during ‘spirited’ wet weather driving. I’m also close to getting 20k miles on this set. Lastly, for the oily bits, the ignition coils have been uprated – see later. There is (and shall be) no aftermarket exhaust, intake system, coilovers, etc. My intention is to keep it as mechanically stock as possible. Paint looks incredible when freshly-washed and in direct sunlight! Every commute, motorway cruise, traffic jam, and B-road blast, there is always something enthralling about it. Suicide pillarless doors, a rare and unusual engine (did you know it’s a Wankel? ), distinctive styling, enough equipment to keep everyone happy, an absolute cracker to drive, and surprisingly practical for a sports car… this is the good stuff. The really good stuff. It is an absolute hoot to drive. There’s plenty of feedback through the wheel, and a refined balance and weight to the way it corners. The firm ride is not a killer, and you can easily get the rear to misbehave predictably without finding a tree. You cannot comment on the RX-series of Mazdas without mentioning (sometimes at length) the elegant engineering by which the 13B Wankel rotary operates. Two rotors, two rotor housings, combustion happens, and so does gurning like a fool. Yes it does 20mpg; yes it uses oil; yes the emissions and VED are through the roof; yes there’s no torque (and I mean absolutely no torque)… But all of this is countered by a banshee of a 9,500rpm redline, accompanied by a polite ‘beep’ from the dash, reminding the Pilot they shall very soon need another gear. Furthermore, the 4-door pillarless layout is super-cool. When giving lifts to friends it’s a great little party piece. But it’s more than a gimmick and actually helps the RX offer the practicality of a much bigger car. Often it’s used as a load-lugger for my partner and I, most recently over Christmas. Despite being nearly 14-years old, it still appeals to petrolheads and non-petrolheads alike. I’ve had re-assuring nods from fellow enthusiasts at petrol stations whilst filling up, most notably from someone in a V12 Vantage. 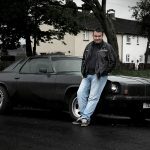 Over the years I’ve had comments from family and colleagues that I have a ‘fancy car’ – I always wonder if people knew the market/cash value of it whether they would still make the same comment. But the best aspect of the car bar none is its innate ability to go from screaming-kamikaze-road-racer to a gentle, comfortable, and settled cruiser in an instant. It responds adeptly to your inputs. Grab it by the scruff of the neck and you can go sideways and giggling with ease. Equally, show some restraint and it will be as placid as a family hatchback. So it’s all great, right? What is there to worry about? Why would you ever want to be rid of it when it offers all this? Well, here goes. Running costs. Reliability. These are the bane of the rotary engine. Firstly, running costs. 20mpg is all you’re getting. It’s all you’re ever going to get. I did some (rough) maths on one run I remember doing years ago. I managed 24mpg! However I was on a dual carriageway, doing 50mph behind a lorry. So it is possible to squeeze more from the tank, but you won’t find me doing it often. I will do roughly 130-140 miles per week, costing me £35ish for each half-fill (I half-fill, because reasons…). Safe to say that if my commute changed overnight then I would need to consider selling a kidney. Car tax, VED, whatever-you-call-it, comes in at over £300 per year. Insurance could be more affordable, but I’m hoping another year’s No Claims should make it more reasonable. Fortunately every MOT has been a formality, with very few advisories over the years (none at all for my most recent one over the summer). Loads of space. 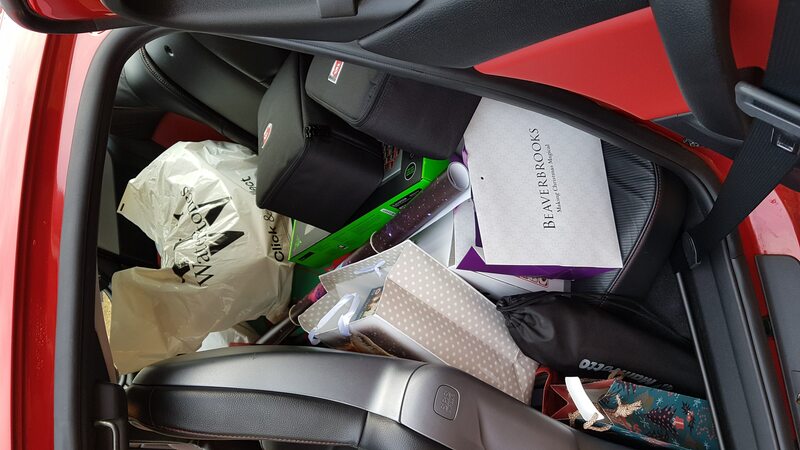 The boot was equally filled with crap! Then there’s the reliability. A lot is written of RX-8 reliability. Some of it is true. The majority of it is questionable. Put bluntly, there are as many cases of 13B rotary units lasting hundreds of thousands of miles as there are units lasting twenty thousand miles. I guess that those individuals whose units only lasted the latter have more time to write about them on internet forums whilst they are waiting/saving for their rebuilds. With correct servicing and maintenance, and a willingness to spend on your Wankel (sorry, couldn’t resist) the 13B is no more unreliable than your bat-average 4-pot diesel. There are two things that kill RX-8s, or more specifically, the engines in them: loss of compression and stationary gear bearing failure. If the engine loses compression, you will need an engine rebuild. If the stationary gear bearing fails, you will need an engine rebuild. Hmph. Fortunately, both of these failures do have quite obvious symptoms of which mine (thankfully) doesn’t currently show. One thing I have learnt through owning one is the ‘reliable unreliability’ of the majority of RX-8 components. For example, more recently I have been using Rotary Revs (a rotary specialist in Batley, Yorkshire) for the servicing. About 18-months ago whilst at a service, I was informed that the original Mazda ignition coils will fail at 30,000 miles, or very soon after. So why was I so surprised when at 30,786 (yes I noted it…) it wouldn’t start? Eventually I got it going with help from Mr AA, but it made for a frustrating week. Squeaky-bum-time preceded each time I left for work and home. A visit back to Rotary Revs A.S.A.F.P. that weekend diagnosed… (drum roll) faulty ignition coils! An upgrade to the D585 coils (a common RX-8 mod) resolved the issue immediately and also has the added bonus of a lifetime warranty on the part. This proves the point. Don’t muck about with the RX-8. If it ‘could probably’ do with a part, just do it. Messing around could ultimately jeopardise the precious engine compression and/or stationary gear bearing. 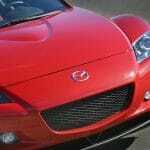 There are recommendations online as to when RX-8s will need things replacing – speak to a rotary specialist for the details. It’s not worth second-guessing the recommendations, just bite the bullet and get the work done. Very recently I umm-ed and ahh-ed over new spark plugs at a service – current ones were nearing end-of-life (estimated lifetime is 15-20k miles). This time it was a no-brainer. Learn your lessons, get the work done. 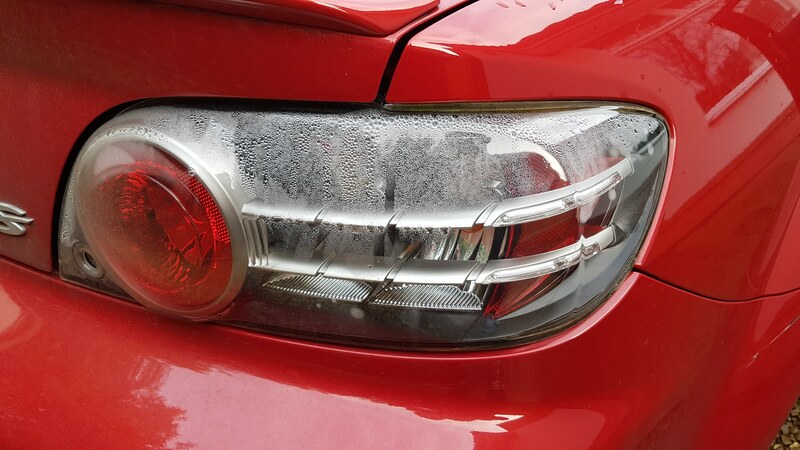 Recent issue with water in the rear lights. Common on older ‘8s. An annoyance but fixable. So where does that all leave me? A car that costs the earth on fuel, needs two oil changes a year, and will need more, potentially expensive, work doing on it if I am to keep it running reliably. 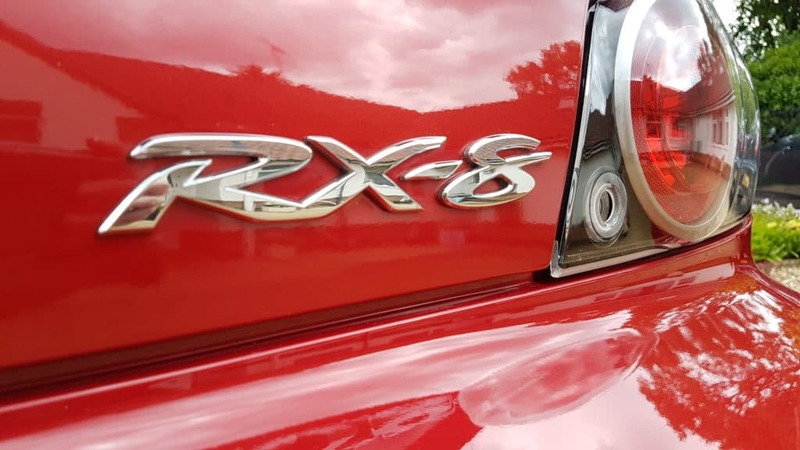 Furthermore, the RX only pushes out 231bhp. At the wheels an un-modified RX-8 will produce somewhere in the 150-180bhp range, give or take. Without sounding ungrateful, is that a lot these days? The advance of the car market from 2004 leaves the RX in a somewhat awkward position. It is now possible to get a Ford Focus ST with 250bhp. An Audi S1 has 227bhp for Pete’s sake. 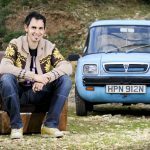 Remember these cars will be just as fun to drive, just as practical, require less intensive servicing/repairs, do 40mpg+, and have warranties on them. The RX-8 now looks completely and utterly stumped for reasonable answers to legitimate questions. Welcome to the ‘hate’ side of the cycle, the side of the cycle that pushes my interests deep into the classifieds. But take a step back for a moment. Granted it is costing me the earth to run, but I already own it! Plus the aforementioned ‘better’ options are at least £25k new. I don’t have that kind of money. Whilst a half-decent PCP deal may look good, it’s the final CBP (crippling balloon payment) that terrifies me. So what is the worst that can happen to my RX-8? As previously mentioned, the dreaded engine rebuild. This would remedy any engine compression and gear bearing failure at the same time, and give a new lease of life to an otherwise very reliable and very good condition car. There are a few rotary specialists up-and-down the country, and a full rebuild will generally cost in the region of £2k (though this depends on whether any modifications are opted for whilst the engine is in bits). Two thousand pounds and I can have a car fully renewed and good for tens of thousands of miles. Yeah sure, it costs a lot to run, but I’ll be damned if I can find another car in the UK that offers the same ‘good stuff’ for the same market price. My RX-8 is not my forever car. It is too costly to run and there will inevitably come a time where I need something more suited to family life. Despite my best efforts to give it everything it needs, I don’t think I’ll ever shift that nugget of doubt in the back of my mind telling me that it could one day fail completely and require a rebuild. It will be a sad, sad day when my RX-8 leaves. It has served me extremely well over the past 5 (nearly 6) years of ownership. It has been everywhere with me, having helped me move up and down the length of the country with University, work, and everything in between. The love-hate thing has been there almost since day one of ownership, and I’m certainly a lot worse off financially for owning a rotary than I would have been with a conventional engine. But would I change any of that? Not a jot. RX-8s offer so, so much. They’re an incredibly charismatic beast. Until the day the V5C is dusted off and some lucky so-and-so takes it away, there are plenty of adventures planned. Current plans are to drive the North Coast 500 in April, and potentially a European tour to Switzerland in October. There will inevitably be visits to the mechanics. There will be copious petrol station visits. There will inescapably be another turn on the love-hate cycle. And I shall be behind the wheel, smiling through it all.